these are the most basic cards that just deliver great value with no real set up. of course adding the shark would really spice up a few of them! 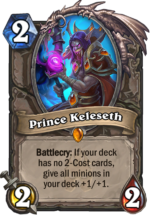 but as with most keleseth decks he is the cornerstone to this list. the name of the game is keep your stuff alive long enough to buff it! thank you for taking the time to read through this and I hope it inspires you to build your own version. 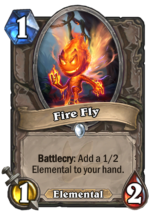 Fire Fly , flame elemental its a Prince Keleseth deck that focuses more on battlecries for fast damage. its not the best but its suppose to make you think of good combos for Spirit of the Shark . 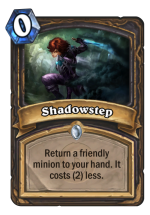 minimum it could be a 4 drop that sticks around for your Fungalmancer the next turn making it a 4/7 and even a firefly could become a 5/6. 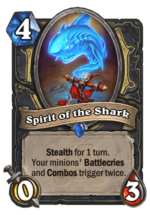 so the “combo” of a minion+ Spirit of the Shark turn 4 and a Fungalmancer turn 5 gets you +10/+10 worth of stats rather than +6/+6. 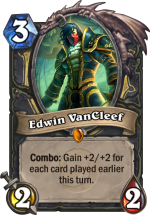 (im counting it as a 2/2 with +8+8) or maybe you could play Spirit of the Shark on 4 and follow up turn 5 with Backstab ,Backstab for a 18/18 Edwin VanCleef ! 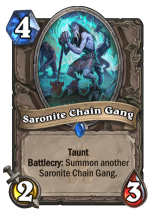 or at the very least get 3Saronite Chain Gang or use Lifedrinker for 6 damage and 6 heal. in the end the shark is just a more expensive bronzebeard that can pretty reliably stay out for 1 to 2 turns. 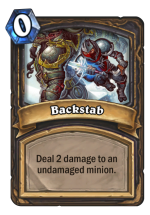 in that time if you can play just one card with a decent effect it could easily win you the game. 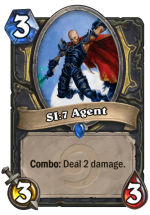 the last super combo would be to play it on 9 with a Fungalmancer followed by a turn 10 Leeroy Jenkins with Crazed Chemist for a 14/2 charge minion plus a 4/7 to clear a possible taunt that right there should be reason enough to run 1 of.